Like the description at code SS3 but in a 540 g. jar, less expensive. Pate` made of giblets and chicken liver, spiced with with, sage, rosemary, giuniper, capers, onion, garlic, pepper and lemon, all cooked in extr-virgin olive oil. It may be served on a small slice of toasted bread (crostino) as an important part of any antipasto. It is prepared with thin ground mature olives, preserved in own oil, it is used on croutons and bruschette or to flavor sauces and base juices of whipped cream, sausages, mushrooms, etc. Available of green or black olives. Similar to the Patè di Olive Verdi (Green Olive Patè), but with sharper flavors. Prepared using very mature olives that are finely diced. 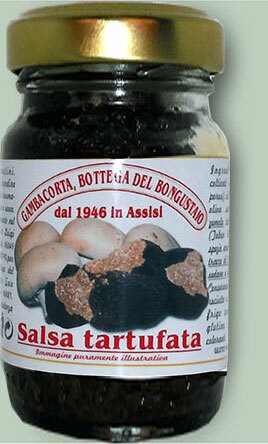 Perfect on crostini or bruschetta (toasted bread) or to flavor salsas, sauces with a cream base, mushrooms, etc. Questo sugo di Cascia, preparato con funghi, olio extra vergine di oliva, vino sagrantino e zafferano è speciale se usato per condire il risotto, si può gustare piacevolmente anche sui crostini nell'antipasto o sulla bruschetta con il pane cotto a legna leggermente tostato. The salty piccantina, compote of eggplants, peppers, mushrooms, peperoncini, artichokes, carrots, celery, salt, parsley, oregano and spice, are excellent on the pasta or on the bruschette. Mushrooms of wood, porcini mushrooms and extra virgin olive oil, they are the ingredients of this excellent sauce to season the pasta or to prepare bruschette and croutons. Questa è una salsa unica e rara, ideale per completare un assortimento di bruschette ed anche per condire pasta o risotti, saltandoli in padella con l'aggiunta di un poco di olio e, se possibile, di una fogliolina di menta. 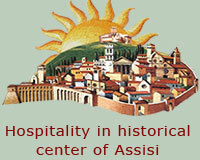 Può arricchire altre preparazioni lasciandosi guidare dalla fantasia. La salsa al sedano è una salsa insolita ma molto versatile, ottima per arricchire tutte le insalata di verdure, per condire pasta o riso o per abbinare a carni o pesci grigliati, da provare anche abbinandola a formaggi freschi e cremosi. This salsa, prepared exclusively with artichoke hearts, is excellent served on a toasted slice of hearth-baked bread or to enliven the flavors of any vegetable recipe. A vegetable salsa composed of eggplants, olives, extra-virgin olive oil, capers and a little peperoncino (red pepper). Fast and easy to use this is a lively and flavorful salsa for spaghetti or the traditional Umbrian pasta, strangozzi. A spread made exclusively with hand-picked porcini mushrooms and extra-virgin olive oil. This crema is well suited for crostini (toasted slices of bread), roasted meats, pasta or risotto. Ideal for adding extra richness to a panino or sandwich. Similar to the cod. SS81 it is the sauce for spaghetti or strangozzi and crostini. 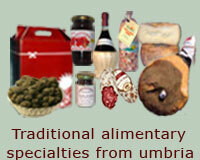 Ready to the use, it is also ideal for omelets or to strengthen the taste to the meat or to the fish cooked in grate. 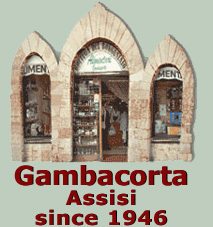 Only and irreplaceable to prepare the typical bruschetta. Like the description at code ss3 and ss81 but in a 540 g. jar, less expensive. Compote of fig and walnut able to exalt the taste of cheeses pecorino or caprino of average seasoning making them pleasant and irresistible. To combine to a wine dry passito of good aging. This delicate Cream of Onions and peel of orange he marries well spicy cheeses and seasoned, particularly with the cheese of pit, it is ideal to enrich an assortment of bruschette or croutons.. Unique preparation: Whipped dried cod, oil extra virgin of olive, cream, butter, onion and natural aromas; to taste on the warm polenta or grigliata, on the bruschetta, on the croutons for the appetizer, good seasoning also for pasta or rice. To accompany with dry white wine. This sauce, prepared with grape's must not fermented enriched with crops of balmy ferments, put to grow old for over ten years in small barrel alternated of oak, chestnut tree, cherry tree, ash tree, locust tree, mulberry and juniper tree, it is an exclusive seasoning for flat of high gastronomy and it doesn't oppose with the wines that accompany them. You uses raw to drops, from the appetizers to the desserts. Be unique! Sauce of cooked must, gotten by long boiling of the must in copper containers of fire very low. It maintains, closed in bottle, for a lot of time and few drops damage a new taste per vegetables grilled or boiled, to meats roast, to spicy cheeses, to fruit salads, etc. Like the description at code O7, but vailable in bottle ml 500, less expensive.